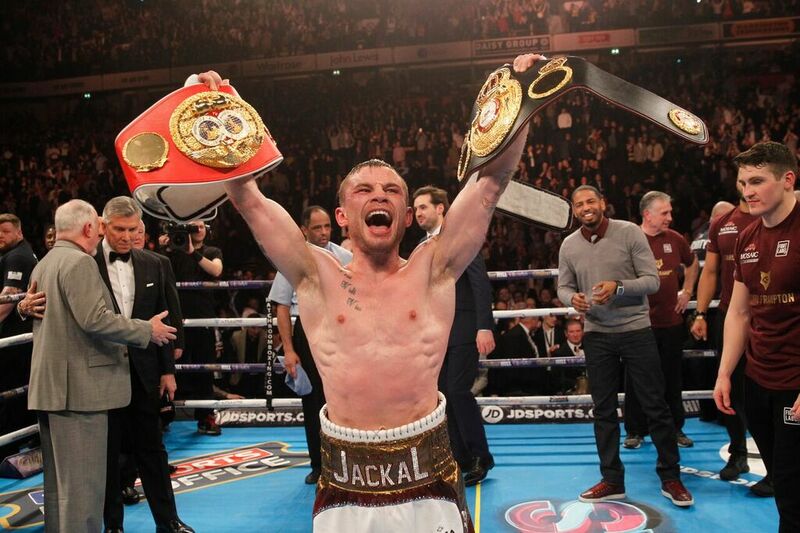 Promoter Frank Warren has warned WBO interim featherweight champion Carl “The Jackal” Frampton 25-1 (14) not to overlook unbeaten Australian Luke “Action” Jackson 16-0 (7) who will challenge the Northern Irishman for his world title at Windsor Park in Belfast on August 18. Speaking to IFL TV the Hall of Fame promoter reminded the 31-year-old Frampton of his opponent’s credentials and said any slip-up could cost him a lucrative unification bout against local rival and IBF champion Josh Warrington 27-0 (6). “He is obviously a competitive guy, he has fought around the world and is an undefeated fighter,” Warren said of the WBO number five ranked featherweight who hails from the Australian island of Tasmania. “We have seen a few upsets over the last year, some serious upsets and he thinks he is coming here to be another one. He fancies the job, his team fancy the job and we will see on the night. Frampton won the interim title with a comfortable points win over faded former champion Nonito Donaire 38-5 (24) at the SSE Arena in Belfast in April. The full WBO featherweight champion, Oscar Valdez 24-0 (19) of Mexico, is out of action until the end of the year after Scott Quigg came in two-and-a-half pounds heavy for their world title clash and broke his jaw in a losing effort at the StubHub Center in Carson, California in March. Jackson wasn’t Frampton’s initial choice of opponent but he was the first one available. The 33-year-old Jackson from the Tasmanian capital of Hobart took up boxing late at the age of 19 but had a success almost immediately, coming in third at the national titles at 57kg in his first year of competition in 2004. Two years later he won bronze at the Melbourne Commonwealth Games and captained the Australian team at the New Delhi Commonwealth Games four years after that. Jackson competed at the London Olympics in 2012 and was again nominated as team captain. He finished his amateur career with a record of 113-32 and turned pro in 2013, training under the tutelage of the highly regarded Billy Hussein at the Bodypunch Boxing Gym in Lakemba, Sydney. As a pro Jackson is undefeated in 16 outings including a pair of 10-round decision wins over former world title challengers Silvester Lopez and John Mark Apolinario of the Philippines. In his eighth pro bout he scored a third round knockout of Indonesian Noldi Manakane, who went the championship distance with Koki Kameda for the WBA bantamweight title in 2012.